﻿ Rogério Ceni: "Very few players can shoot like Cristiano Ronaldo"
17.02.2012 » Rogério Ceni: "Very few players can shoot like Cristiano Ronaldo"
Rogério Ceni, one of the truly living legends in football, got invited by Real Madrid to visit the club's training center, for a period of 2 weeks. The Brazilian goalkeeper is currently recovering from a shoulder injury but didn't lose the chance to praise José Mourinho and Cristiano Ronaldo. 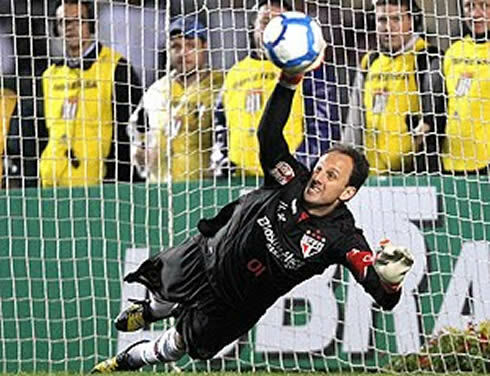 São Paulo legendary goalkeeper, Rogério Ceni, payed a visit to Real Madrid facilities earlier this week and lauded not only José Mourinho, but also the club's biggest star, Cristiano Ronaldo. The Brazilian international player still holds the World record for the goalkeeper with the most goals scored in the history of football, with an impressive amount of 103 goals, from a mix of penalty-kicks and free-kicks. 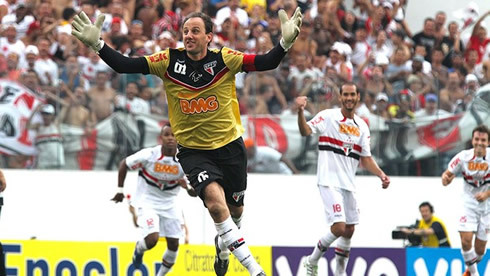 Therefore and despite being a goalkeeper, Rogério Ceni is certainly one of the best qualified persons in the game to assess a good free-kick taker, since he not only knows how to score from them, but he's also great at stopping them. When analyzing Cristiano Ronaldo's shooting technique, Ceni agrees that it is pretty unique and that very few players in the World are capable of doing something similar. The 39 years-old Brazilian goalkeeper, started by talking about Real Madrid's coach, José Mourinho, who he ranks as the best football manager in the World. 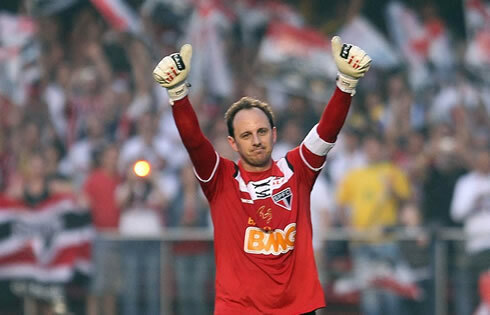 Rogério Ceni: "Mourinho has been on the elite for a long time. He has been coaching big teams in Europe for almost 10 years, as it was the case with Chelsea, Inter Milan and now Real Madrid. What's remarkable is that he always finds a way to reach finals and then he wins them", noted the São Paulo goalkeeper, when talking to the journalists in Madrid. Rogério Ceni: "José Mourinho is not only the best coach in the World right now, but also one of the best in the History of football. He truly is amazing. I'm a big fan of the way he approaches his players, the intimacy he creates with them and how he deals with the press. All these factors are tremendously important for generating a good atmosphere in the locker room", pointed Ceni, remembering Mourinho's experience with the media in 3 different leagues, such as the English, Italian and now the Spanish one. 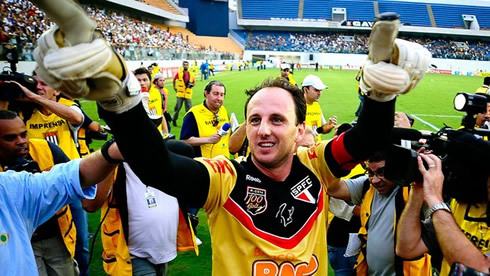 When asked to share his opinion on what he thinks about Cristiano Ronaldo, Rogério Ceni preferred to highlight the Portuguese shooting technique, specially when CR7 takes free-kicks. Rogério Ceni: "The way he prepares and stands before a free-kick is quite unusual and different from the rest of the players. I really don't know how he pulls it off, but he's special. Ronaldo makes contact with the ball from a front stance and he does it so quickly that the ball never takes a predictable trajectory, which makes goalkeepers to really struggle to stop it." 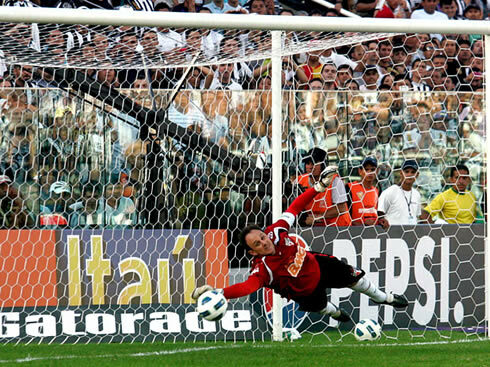 Rogério Ceni: "It's very hard to shoot like that and very few players in the World can do it in a similar way. 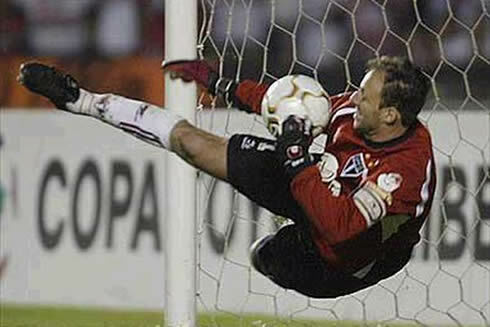 I can remember of Marcos Assunção and Juninho Pernambucano from Brazil, who indeed have a resembling style", analyzed Rogério Ceni, when looking at the shooting technique Ronaldo puts in motion on his free-kicks. Despite the the praises, the Portuguese player only scored 1 goal for Real Madrid from a free-kick shot this season, in a game against Olympique Lyon, for the UEFA Champions League. You may check more stats on CR7 here: Cristiano Ronaldo stats. Real Madrid next game will be against Racing Santander for La Liga, next Saturday (18-02-2012). You can watch Juventus live stream, Real Madrid vs Racing Santander live for La Liga, but also Chelsea vs Birmingham online and Sunderland vs Arsenal free for English Premier League, from our football live streams section. Cristiano Ronaldo is expected to be on the line-up against Racing, in the next Saturday's game.